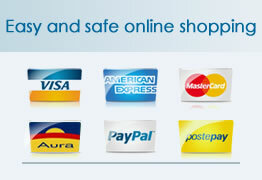 Our online store offers a variety of payment options you can choose from to place you purchase. 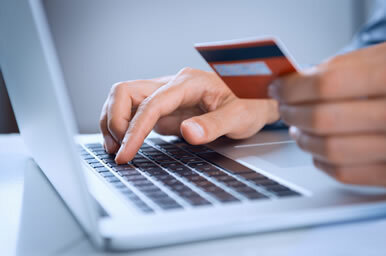 - 100% safe: our online payment systems exclusively use the latest payment processing technologies. -Easy: we have made our website as simple as possible so you can pay for your order in just a few clicks. - Flexible: choose the payment option you prefer amongst advance bank transfer, credit card or Paypal. By selecting this payment option you can use the following credit cards: VISA, MasterCard, VISA Electron, American Express, Maestro and CartaSi. Once you complete your order you will be redirected to the payment circuit that will authorize the transaction. Your transaction is 100% safe and protected by cryptographic protocol SSL. By selecting this payment option you can use your Paypal account. PayPal is the most popular payment system used worldwide: it protects your credit card details by using innovative safety and fraud prevention systems. Through PayPal your financial details are safe and will not be revealed to third parties. AllForFood: Safety, reliability and professionalism at your service.